We have to take our inspiration where we can! 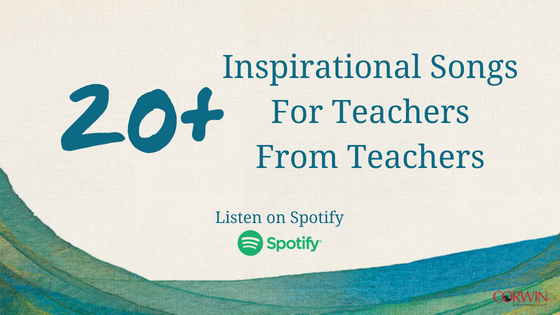 Recently on the new Teach Like Yourself Facebook Group, author Gravity Goldberg asked members to share the songs that inspire them to teach authentically and be the best version of themselves for their students. 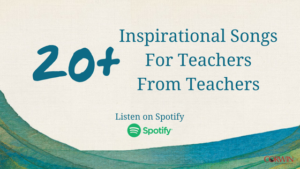 Teachers shared more than 20 songs that inspire them, and teacher Michelle Haseltine (Northern Virginia Writing Project) graciously collected all of the songs in this Spotify playlist. If you need something to get your toe tapping and your heart pumping, these songs are for you! As you rest, recuperate, and recharge for the year ahead, we hope that you enjoy these songs! All educators are welcome to join the Teach Like Yourself Facebook group, and join the discussion using the hashtag #teachlikeyourself. Ariel is the Acquisitions Editor for Teaching Essentials at Corwin, and editor of Corwin Connect. 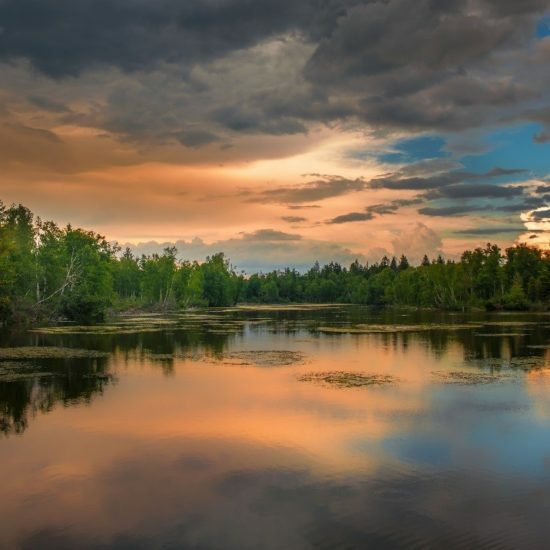 When not working, you can usually find Ariel hiking, rock climbing, practicing yoga, reading with a glass of wine, or writing a book review on her blog, One Little Library.